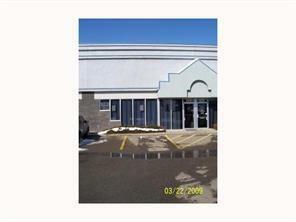 Prime Retail/wholesale or Office with Warehouse Space in prime location. Interior is freshened up with current paint colors, LED track lighting and laminate floor in front retail area. 3 or 5 year term. Rent incentive available to qualified tenant. Located close to Deerfoot Meadows, SE Costco and Trail Appliances. Interior is neutral interior decor with south exposure windows into front office area. Main floor open merchandise display area and or offices with warehouse at back. 14 ft x 14 ft overhead warehouse door. Upper mezzanine area has open board room or display room plus side storage. Upper mezzanine is finished with drywall, carpet and stipple ceilings. Rear yard/compound is a shared secured area. The electrical, AC electrical and water are individually metered for tenant direct billing. The in-floor radiant hot water heat and Make Up Air with heat are a shared expense and billed by landlord on a monthly basis. Listing Realtor has details. All viewings/showings thru Listing Realtor.